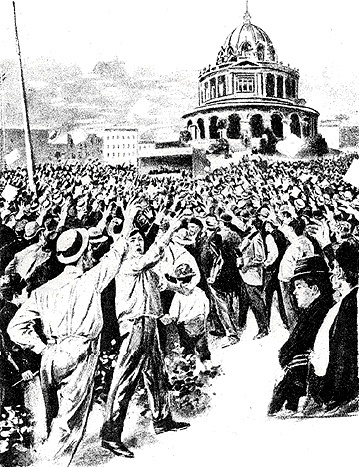 July 23, 1877 unemployed rally in Civic Center sandlots facing the construction of City Hall. Dramatization of Irish couple arguing over the anti-Chinese agitation in San Francisco in 1877. Original recording by Haight Ashbury Community Radio project, 1980.